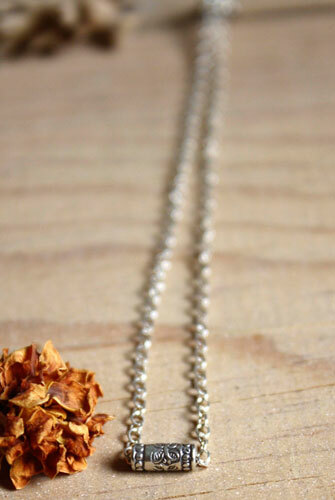 It is made of a thin sterling silver chain and a small tube engraved with patterns of flowers. The magnolia is a tree or shrub with impressive and massive flower. In the language of flowers, magnolia generally symbolizes the dignity and cheerfulness. 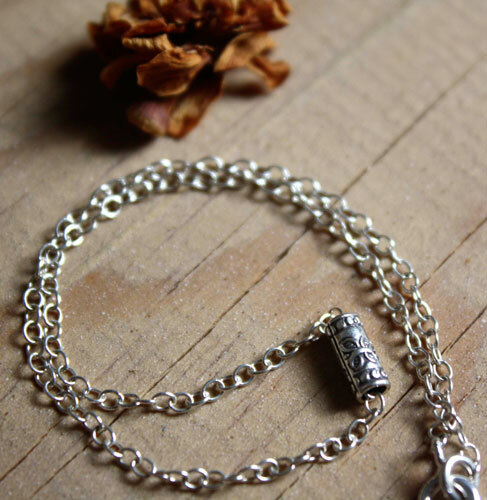 Shiny finish for the chain, and oxidized finish for the small tube. 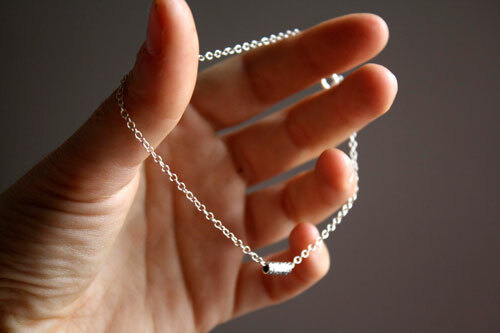 This sterling silver anklet measures 23.5 cm long. It is perfect to wear every day. Discrete, delicate and feminine. 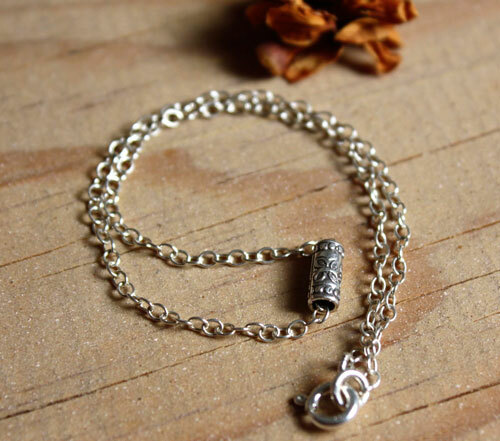 Tag: anklet, sterling silver, flower, pipe, plant, craft, vintage, antique, feminine, delicate, gift, unique, nature, elegant, discreet, language of flowers, magnolia, dignity, joy, cheerfulness.